Lindsey Huffman is the director of Lifesaving Programs for the Charlottesville-Albemarle SPCA. Lindsey has been with CASPCA since April of 2018. In this role, Lindsey develops and oversees shelter programs such as foster, volunteer, adoptions, transfers, and animal care and enrichment. Lindsey has been working with Maddie's Fund Field Trip and Sleepover Foster Apprenticeships by hosting apprentices at the CASPCA. This coming year the program will host 48 apprentices from around the country through the CASPCA location. Lindsey has been a board member of the Virginia Federation of Humane Societies for two years and strongly supports the mission of No Kill Virginia by 2020. 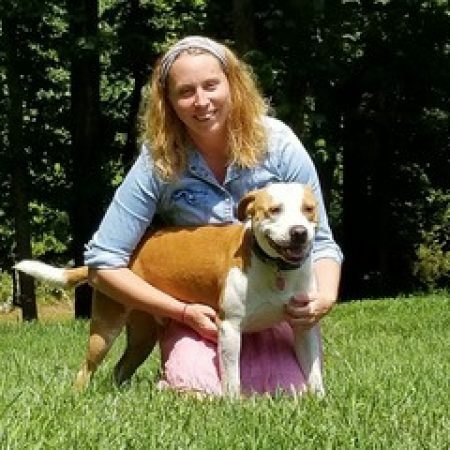 Prior to working in Charlottesville, Lindsey served as the director of Shenandoah Valley Animal Services Center in Lyndhurst, VA. Lindsey's career as an animal welfare professional began in 2013 with the opportunity to become the assistant director of SVASC. SVASC opened in 2011 after three municipalities separated from the local SPCA. The SPCA held the contract with animal control and functioned as a private shelter for 20 years. In 2011, the Augusta Regional SPCA's euthanasia rate was 60%. Upon opening, SVASC was predicated to have a euthanasia rate of 85%. Much to the surprise of everyone, in 2012, SVASC had euthanized just 33% of the animals in its care, beating expectations by more than half. In 2014, Lindsey became director of SVASC and was able to share her life saving mission. That year, SVASC saved 95% of the animals that walked through the doors. In 2016 and 2017, SVASC saved more lives than ever, despite the highest intake level in shelter history. During this period, SVASC adopted, transferred, or reconnected 97% of the animals in care. Lindsey has learned how to save lives despite limited resources, very tight budgets, and very little support from the local governing bodies. Yet, despite these challenges, she continued, and continues, to strive for a higher quality of care through sustainable lifesaving programs. Successful shelter leaders will share their knowledge on how to run a No Kill organization even when you have a very limited budget.